Do you need a work truck for the jobsite or commercial transportation that’s easy to load, offer versatile hauling abilities, and require less driving since you can load up more on the bed? 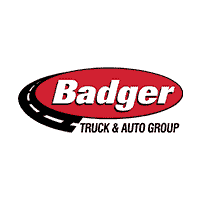 Then you should take a look at our used flatbed trucks inventory for sale at Badger Truck & Auto Group. You can use your flatbed truck to haul building and construction supplies, work equipment, and more around the Chicago area. They’re also a safe option for hauling because everything is secured to the flatbed platform and swaying around. For added security, you can also install flatbed stake sides, which can be removed and reattached as needed. And when you buy a used flatbed truck in Milwaukee, you can take advantage of affordable pricing that fits within your budget. Explore our selection of used flatbed trucks for sale, then contact us to learn more or to set up a test drive.